We are listed at the apex for supplying and exporting extremely demanded Artificial Diamond Jewellery. Offered Artificial Diamond Jewellery are crafted according to the prevalent market trends incorporating pure gold. The jewellery we offer are appreciated for their unmatched quality, superior finish and latest designs. 14k pendent set with white diamonds. 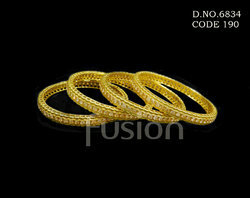 We are a prominent manufacturer and exporter of diamond jewellery and CNC machine set bands. We offer wide range of diamond jewelry in various designs, patterns, gold color, gold caratage and diamond caratage. The best quality of Diamond Bracelet is offered by us to customers in bulk. This Diamond Bracelet is available in different sizes. This Diamond Bracelet is appreciated among the customers due to its good quality, elegant designs and eye catching patterns. Our products are of supreme quality. With detailed knowledge of fashion industry, we have been able to bring forth an assortment of Diamond Studded Bracelets. Designed in tandem with contemporary fashion trends, the products we offer enhance the overall looks of the wearer. These bracelets have various number of beautiful looking stones, arranged in a single row. Master Design has an exquisite range of Solitaire diamond jewellery that offers stones in popular cuts, sizes and clarity, which tantalize one and all. Hamsa charm with diamond and turquoise.it is protects the wearer from evil. Add some serious shine to your wardrobe with this beautiful Single Line Necklace that will create a unique and elegant look. 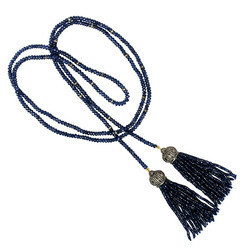 A perfect accessory for any attire, this necklace is the missing thing in the perfect look.